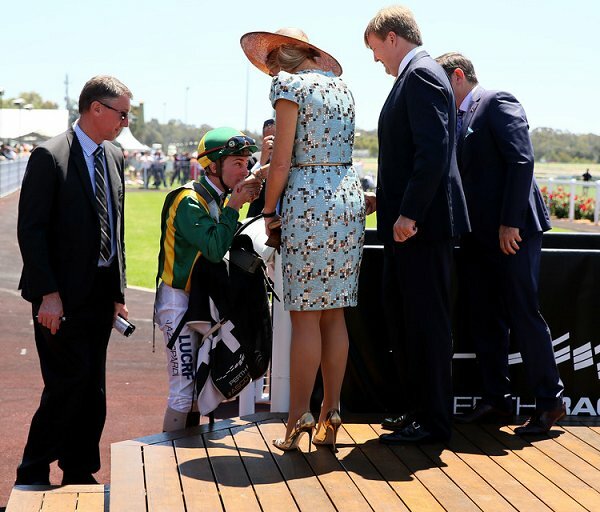 Dutch King Willem-Alexander and Queen Maxima at Ascot Racecourse on Melbourne Cup Day on November 01, 2016 in Perth, Australia. 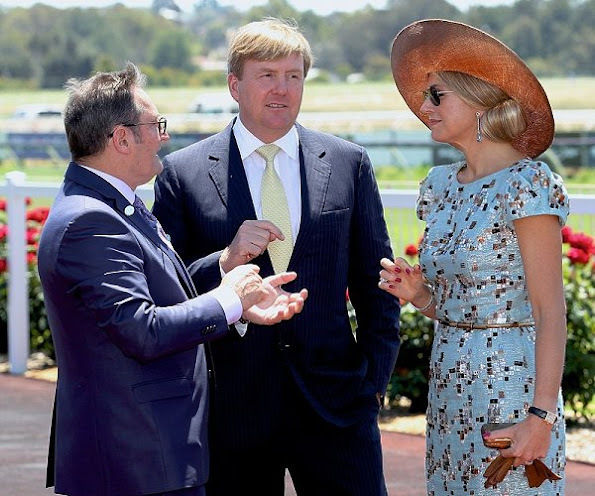 King Willem-Alexander and Queen Maxima are in Perth to commemorate the 400th anniversary of the landing of Dutch explorer Dirk Hartog in Western Australia. 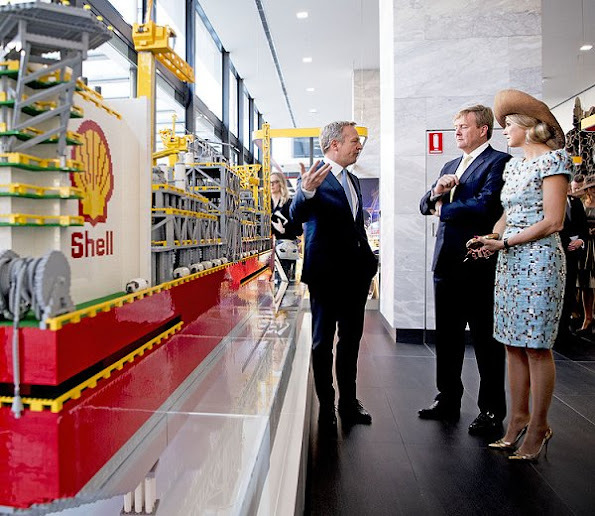 Queen Maxima and King Willem-Alexander of the Netherlands visited Shell Prelude Control Center in Perth, Australia. 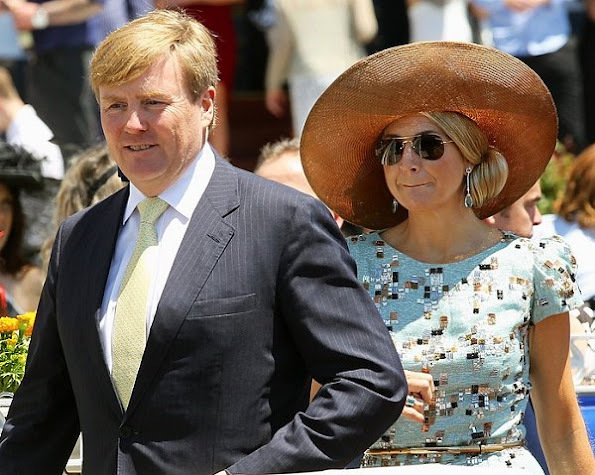 Queen Maxima looks fantastic, I like everything except... sunglasses. Love her outfit and style. She's a real queen and looks every inch a royal lady. But why shiny shoes and gloves? 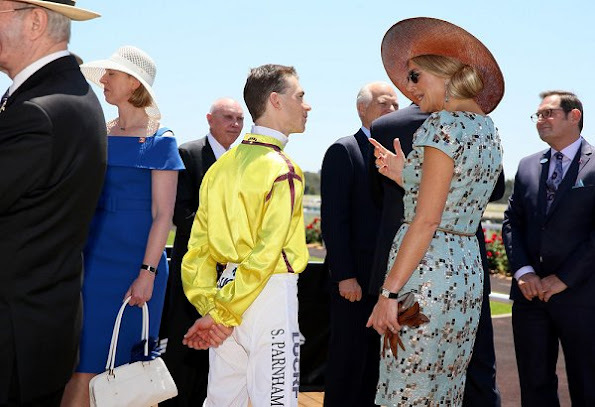 Is spring in Australia no need of cover hands. 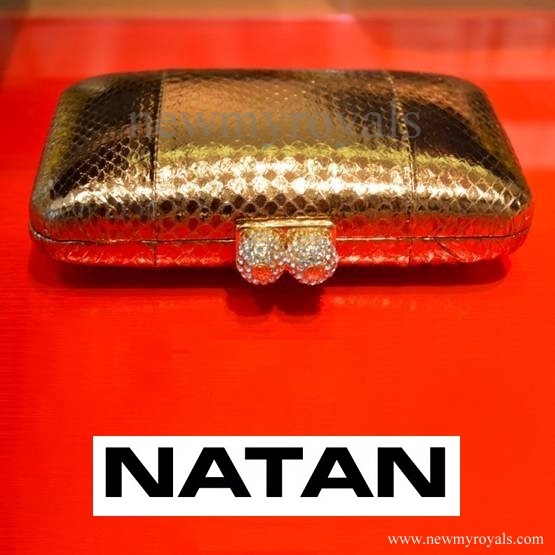 Despite the weather mayby she love to wear it. Anyway she's beautiful! And WA looks fantastic too. Did Maxima wear that dress before ? Actually she did on Kingday a few years ago. So I wasn't dreaming, thank you Miranda! Such a beautiful royal couple. Here in Australia I had to what 3 tv stations just to get a 2second revenue On what they are up to here! Very upset with our pro republican media! The king and queen of the Netherlands are here to celebrate our history (which the Dutch not the English being the first here). Some Australians are grateful they made the journey here!!! The aquamarine earrings are gorgeous. Dress fabric has a fun and modern pattern. I like everything... except the shoes. 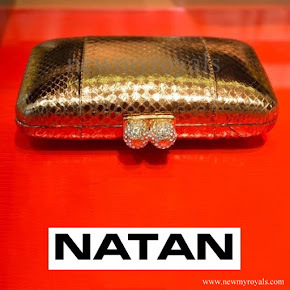 They are not suitable for daytime use, they don´t go well with the dress (which is detailed enough), and they look painful. 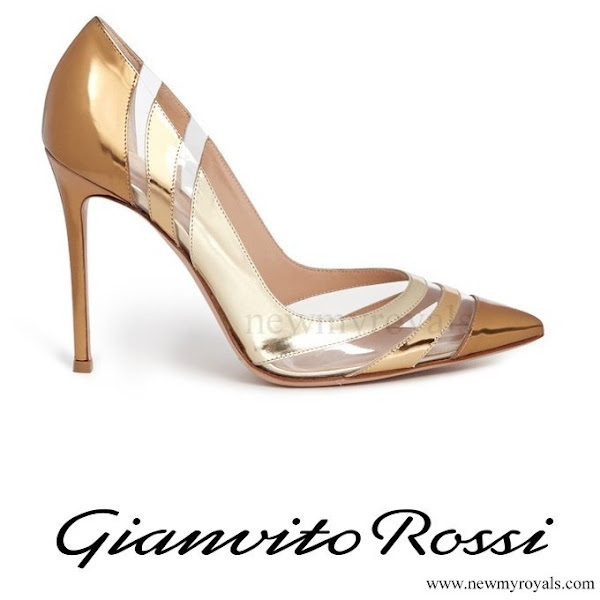 The shiny shoes are perfect to pop out the shiny golds and metallic pieces of the dress. Shoes have a smudge? I think she's very very busy? could that be it? going all day. I love her style and this combination. Australia is a long flight, ya gotta be devoted to sit on a plane that long. The photo of the young gentleman kissing Maxima's hand at the race track is cool. A charming gesture of nice old fashioned politeness in a super modern country. Queen Maxima looks so glamorous!